For those who refuse to blend in, there’s the 2020 Toyota Corolla. It gives you the athletic performance, cutting-edge technology and award-winning safety to take your day-to-day from ordinary to extraordinary. 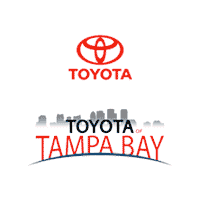 Test-drive yours today at Toyota of Tampa Bay! No matter the destination, stay entertained and in control on the roads of Tampa Bay and beyond behind the wheel of the 2020 Toyota Corolla thanks to a suite of advanced technology and infotainment. It starts with the Entune™ 3.0 system and 7-in. multimedia touch-screen, which is the key to accessing all of your favorite features like navigation, voice-recognition, hands-free phone calling & audio streaming and more. Your 2020 Toyota Corolla gives you the power of choice with 3 dynamic engines available to choose from. Go with the 1.8L 4-cylinder engine with Dual Variable Valve Timing for 139 HP and 126 lb.-ft. of torque. For more power, choose the 2.0L 4-cylinder with Valvematic technology for 169 HP and 151 lb.-ft. of torque. Or for more efficiency, choose the 1.8L 4-cyclinder engine with Variable Valve Timing for 121 HP and 105 lb.-ft. of torque that comes with ECO driving mode for an EPA-estimated 52 MPG on the highways of Albany. The 2020 Toyota Corolla puts safety first with Toyota Safety Sense™. It comes standard on all Toyotas and gives you peace of mind with the latest in safety technology. Take advantage of advanced safety technologies like Pre-Collision System with Pedestrian Detection, Lane Departure Alert with Steering Assist, Road Edge Detection, Road Sign Assist, Automatic High Beams, Full-Speed Dynamic Rader Cruise Control and more! Plus, the 2020 Corolla doesn’t stop with just safety tech. It was designed from the ground up to be safe. For those who want to lead the pack in all categories, there’s only one vehicle that can satisfy your high demands – the 2020 Toyota Corolla. Get yours today at Toyota of Tampa Bay.